Neighborhood Health Clinic is committed to deliver services in a caring environment that respects the dignity of each patient. 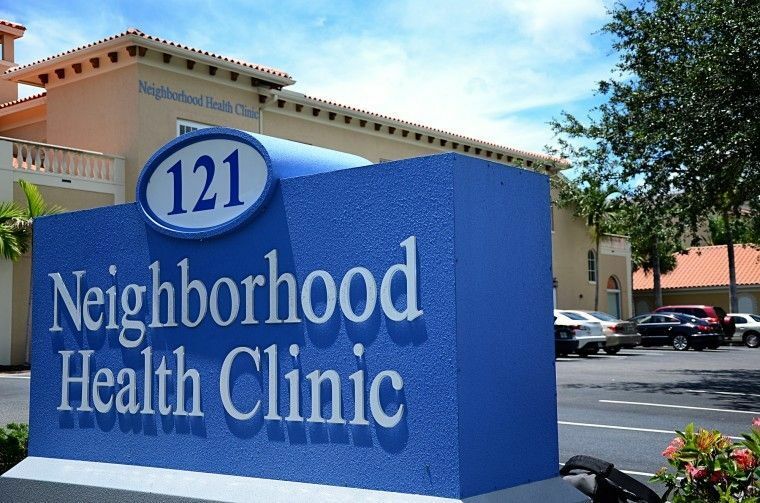 Neightborhood Health Clinic provides quality medical care to low-income, working but uninsured Collier County adults; using a professional volunteer staff, and funded by private philanthropy. United Way aid is used for general operating expenses, such as utilities, telephone and internet costs. This assistance helps carry out the mission of the Neighborhood Health Clinic. The 700 volunteers are the “backbone” of NHC having provided over 19161 hours of donated services in 2014. Volunteers serve as physicians and dentists in the Clinic, specialists outside the Clinic, nursing care, medication room/ pharmacy technicians,interpreters, intake workers, social workers, health educators,healthy living, pain management, lab staff, acquiring medications from pharmaceutical companies, administrative support, computer data entry, meal preparation. Volunteers frequently assist with health fairs. Furthermore, volunteers help at special events such as the annual fundraiser which requires many volunteers both in planning and day of event activities.